It’s subtle, but if you look past the lightsabers and space fights, you might start to notice that the long-ago, far-away galaxy is pretty queer. Even JJ Abrams has said in past interviews, “It seems insanely narrow-minded and counterintuitive to say that there wouldn’t be a homosexual character in that world.” We tend to agree. 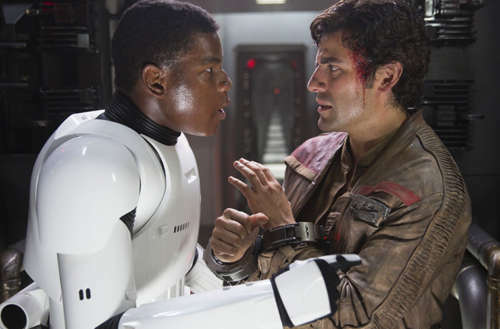 Star Wars queer characters are a given. The Star Wars universe is a pretty big place, so it’s only natural that it would have several LGBTQ characters within it, even if the characters’ sexuality isn’t overt in the films themselves. 1. Luke Skywalker: Bisexual Space Wizard? The Jedi are expected to remain celibate, but they do occasionally have romantic interests (like Anakin Skywalker, whose doofy heterosexual relationship doomed the galaxy). We know Luke likes the girls (including, uh, his sister), but it turns out his lightsaber might swing both ways. So effectively Mark Hamill confirmed that all of your slash fiction is canon. Maybe it’s just George Lucas’s inability to portray human sexuality, but Rey from the new trilogy seems pretty asexual. We know she’s busy surviving and all, but come on: she’s surrounded by gorgeous resistance fighters and she’d rather play with a little spherical droid. She’s the space opera equivalent of a cat lady, and we love her for it. Poe and Finn are clearly a couple. Clearly. No one says it out loud, but that sensuous lip bite and smoky glance Poe gives Finn when they reunite speaks volumes. Plus, they share clothing. Straight guys might lend each other a jacket every now and then, but not their entire outfit, ya know? Whenever Chirrut launches into a spiel about the Force, a bemused Baze treats him like a spouse telling the umpteenth iteration of a well-worn anecdote. I enjoyed their old-married-couple vibe, though I didn’t think much of it until a sweet little moment where Baze tells Chirrut that he doesn’t need the Force if he’s got him — something that a protective friend might say to his peer, of course, but also the kind of sentiment you’d end an interstellar Valentine’s Day note with. Plus, the pair follow the standard “queer couples must come to a tragic end” trope, so there’s that. There is absolutely no way to write this list without talking about C-3PO. The character’s portrayal as an über-gay droid runs stereotypical much of the time (he’s fussy and effeminate and talks like a Morrissey song lyric), but hey, the original trilogy began in the ‘70s. Plus, he probably has whatever the robot equivalent of PTSD is from being disassembled so many times. Of all the Star Wars queer characters, this little rolling trash can-shaped droid is quietly the queerest in the universe. He hits all the boxes: more or less agender, he whips that data probe out at every opportunity and he usually saves the galaxy as a result. The LGBTQ community would be proud to have R2D2 as one of our own. 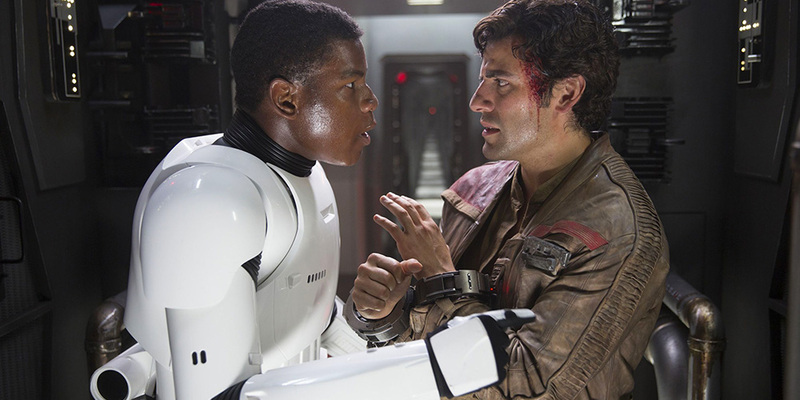 What do you think of our list of Star Wars queer characters? Did we miss any you think belong on the list?